Miss Opal P. Lee is admitted to practice law in Florida and Jamaica. She founded the Law Offices of Opal P. Lee in 2006. Miss Lee earned a Bachelor of Business Administration Degree from Florida Atlantic University, a Juris Doctorate Degree from Florida International University College of Law, and Legal Education Certificate from the Norman Manley Law School. 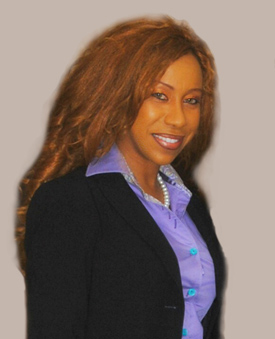 While at Florida International University College of Law, Ms. Lee, who was on the Dean’s list, served as the Vice President of the Black Law Students’ Association, Vice President of the Caribbean Students’ Bar Association, and was a member of the law school’s Board of Advocates; she represented the law school at the Wechsler National First Amendment Moot Court Competition. Miss Lee is a member of the American Immigration Lawyer’s Association and the Broward County Women Lawyer’s Association. Miss Lee may be heard each Monday morning at 10:00 a.m. addressing United States immigration issues on Nationwide 90FM Jamaica – the program, Immigration Mondays, is broadcasted globally.